The streets are paved with gold stars and celebrity handprints, and a brush with A-listers is only a latte away. Yes, being in LA comes with a dreamy belief that you’ll be meandering down the high street pointing out all the famous people. So imagine That Film Thing‘s surprise when the first day of our new life in Santa Monica served up that bloke off of The X-Files. 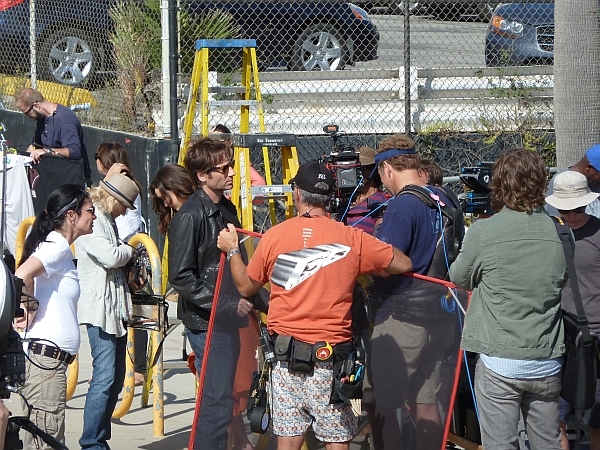 Duchovny was filming the new series of Californication and despite being moved back by the production crew we managed to climb on a wall and pap the scene. And when you talk of actors suffering for their art, we don’t envy the Evolution and Zoolander star that leather jacket. We were roasting in a T-shirt! 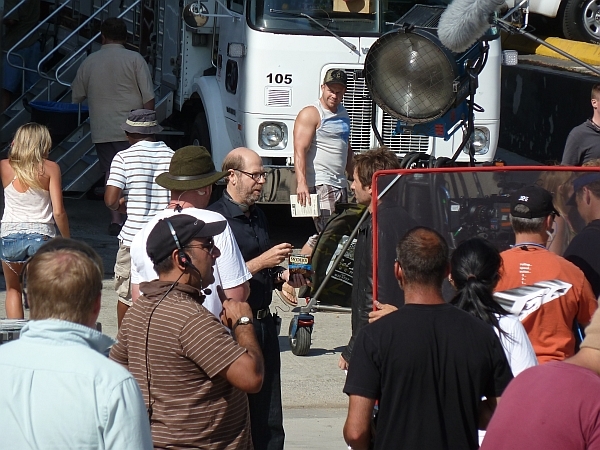 Was channel snifrug and came across Californication. Thank goodness I know how to work the remote. Of all the things David Duchovny has done this show has got to be the most disgusting! Tea Leoni must be embarassed to see her husband in such a disgusting part. No, I’m not a prude, but let’s get real! Is this something small children should have access to? And they do if there is Showtime is in their house.